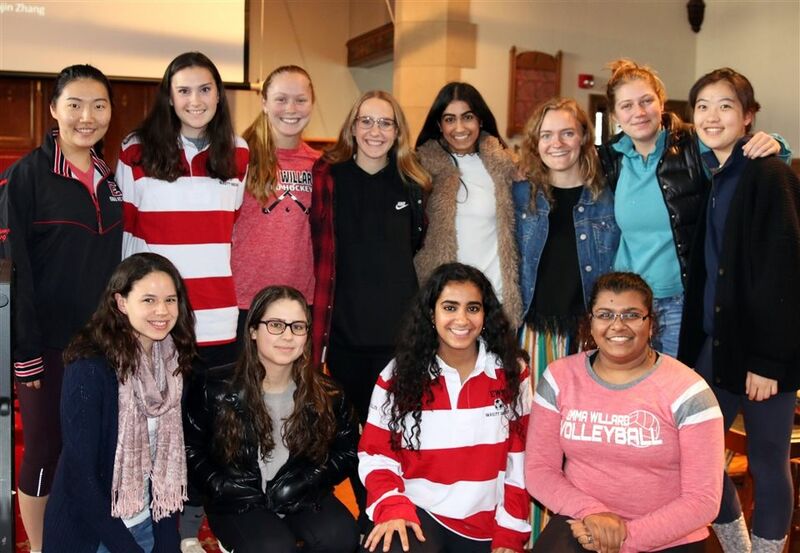 Emma Willard School recently honored the 207 fall athletes comprising our badminton, crew, cross country, field hockey, soccer, swimming and diving, tennis, and volleyball teams. This year 51 students earned their varsity E for the first time, 83 earned a bar which marked their second time playing at the varsity level, 10 were awarded a bar after earning their varsity level in another sport, and 29 student earned JV pins. After each team shared highlights from their seasons, coaches also recognized exemplary leaders, most improved players, and coaches award winners. Congratulations to all of our athletes on a great season! Go Jesters!